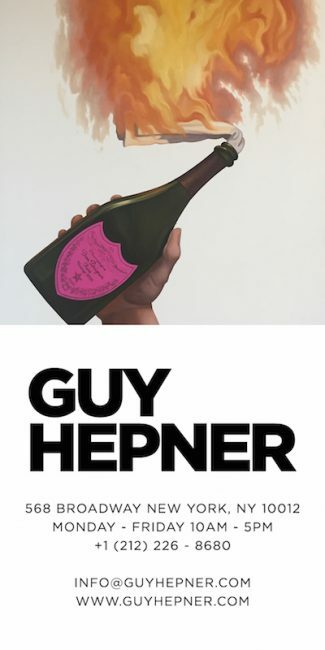 The world’s most famous model, Kate Moss, now at Guy Hepner with her very own exhibition, Kate Moss Photographs. Kate Moss has achieved something that no other model has, she has worked in fashion over three decades: launching trends and defining styles, while remaining utterly timeless. From heroin chic in the 90’s to boho chic, and even skinny rocker aesthetic at the turn of the century. This powerful icon has appeared in ad campaigns for brands from Mango to Louis Vuitton. Moss has been photographed by many including the renowned Mario Testino, Russell Young, Terry O’Neill, Rankin, Ellen Von Unwerth and Albert Watson. The playful and alluring power of Kate Moss in Russell Young’s Young Kate Moss (above) is undeniable as this larger than life silkscreen on canvas makes you feel small. Pop artist Russell Young uses diamond dust, pressing the crystals into the enamel of the linen, no two of his pieces are the same. Kate Moss, London by Mario Testino taken in 2006 is a classic Testino work, it captures the intimacy of a seemingly unguarded or fleeting moment and heightens a sense of glamour and surreality. Perched casually on a polished bathroom counter in a sheer black dress, Kate seems caught unaware in the midst of a fête. This contrast between the apparently incidental and impossibly elegant is what makes Testino’s images continually fascinating. 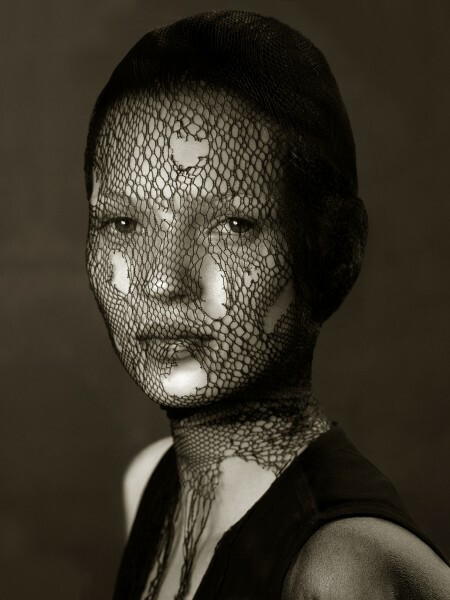 Albert Watson’s Kate Moss in Torn Veil, is an iconic portrait taken in 1993 in Marrakech. Like many of Watson’s works, the portrait reflects an effortless versatility of allure, power and influence. Watson has the privilege to work with the model at length, his Kate Moss contact sheet (not shown) offers the viewer a unique advantage: to glimpse the many facets of Kate Moss. Guy Hepner provides an exclusive sale of Kate Moss Photographs. Inquire about Kate Moss prices and view online what’s available here -> Buy Kate Moss.